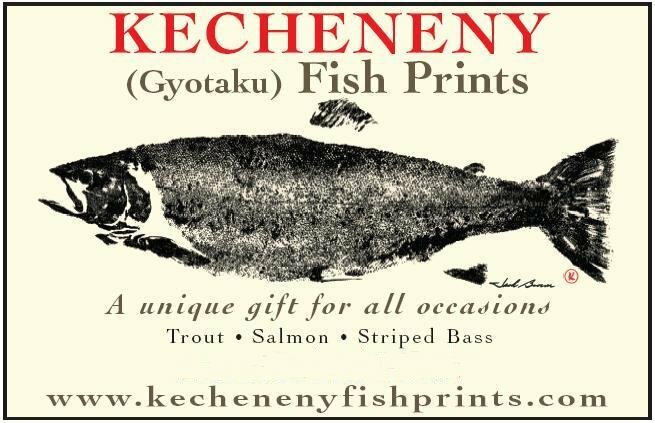 What are Kecheneny Fish Prints? Jack Brown mastered the fish art of “Gyotaku” while living in Japan. 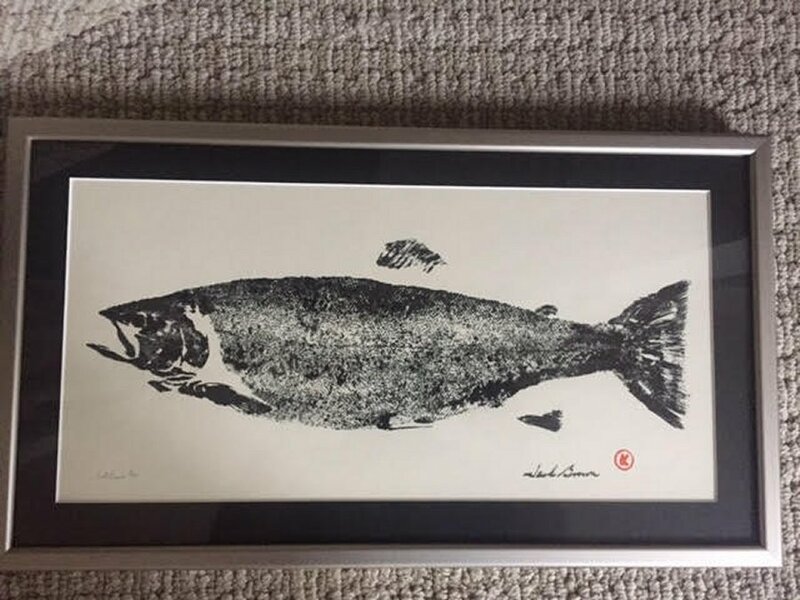 His fish rubbings of Largemouth Bass, Trout and Salmon along with other fresh and salt water sport fish are often sought by people searching for a unique and unusual gift relating to fishing. Some purchase them for themselves, while others purchase them as gifts, for that special person who fly fishes, has everything, and is difficult to buy for. Sporting shops purchase them to frame and hang on their walls, while some stock prints for sale. Some outfitters and businesses present them to clients as “gifts of appreciation”. Then there are the fishing clubs, teams, and organizations which find them fitting for their tournament prizes and fund raising activities. 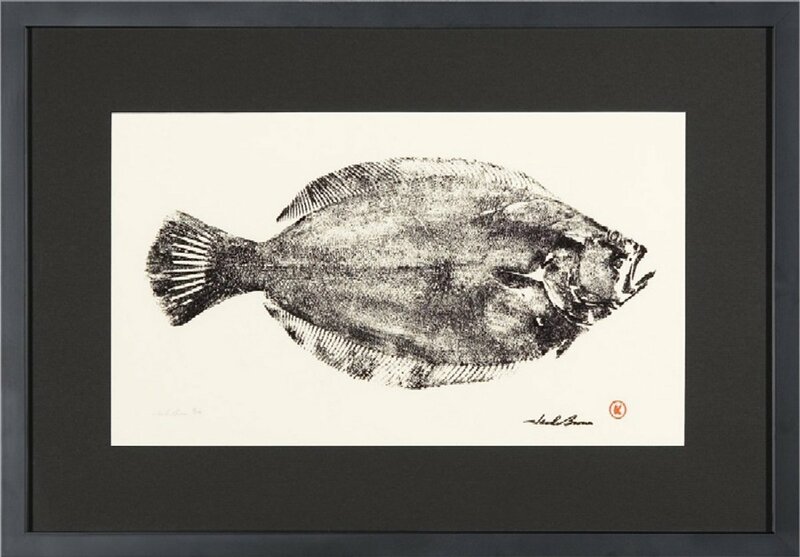 His salt water fish prints are now displayed along with other fine shore line art in several notable seafood restaurants. Art work is available in the form of original rubbings, limited edition prints and t-shirts. Photo's of several fish used to make these rubbings can be seen by clicking on the YouTube Screen found on the "On Display Page". Unique and unusual gift for that Fly Fisherman on Fathers Day. 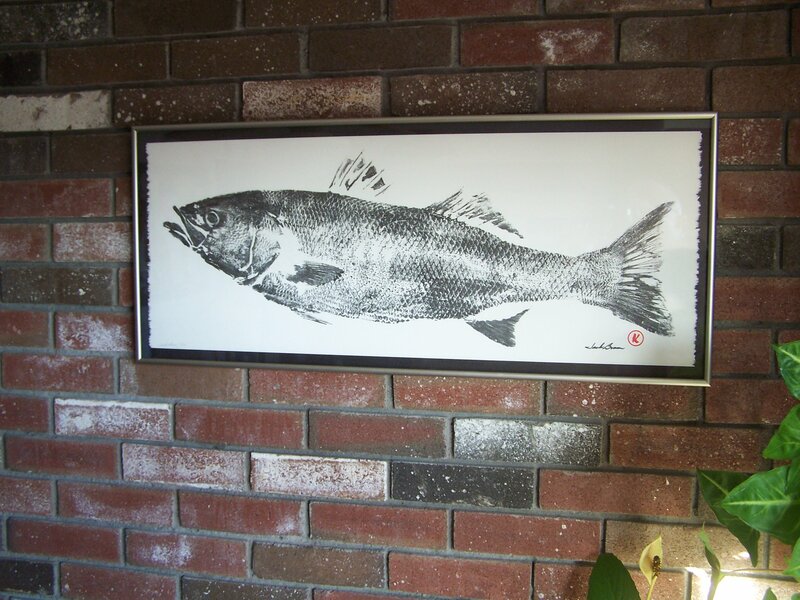 Sport Fishing Art, Japanese Art, and Seafood Restaurant Art.